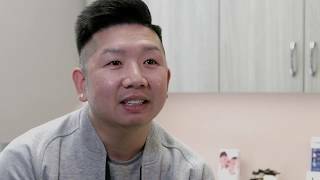 Cosmetic Porcelain Veneers Charlotte NC | Smile Perfection! 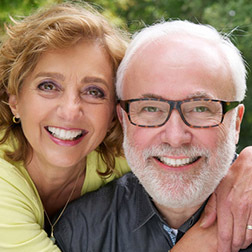 Many patients at Adult Dentistry of Ballantyne have rejuvenated their discolored, chipped or misshapen teeth with porcelain dental veneers. 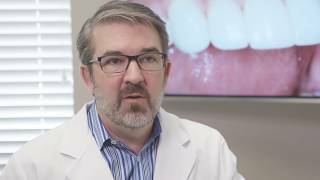 Having treated patients in the area for more than two decades, Dr. Robert Harrell knows just how important a bright and healthy smile is for one’s self-confidence. More than just a dental treatment, veneers are a quick and simple pathway to feeling good about your appearance. This safe and non-invasive option is one of our most popular treatments for restoring smiles. Veneers are thin porcelain casings that are bonded to the front of the teeth with a strong adhesive. They make the teeth appear bright and perfectly shaped and aligned. Porcelain is a luminescent material that is extremely durable and looks completely natural. It is also highly resistant to staining, meaning your new smile will retain its luster for years. Based on the type of structural or cosmetic issues you’re facing, Dr. Harrell can determine if you’re a good candidate for porcelain dental veneers. If you are, he’ll know which type is best for you. Perhaps the most commonly corrected problem is stained or otherwise discolored teeth. Over time, enamel is worn away, leaving the teeth looking dull and resistant to typical whitening treatments. In these cases, porcelain veneers are an incredibly simple and effective way to bring new life to your smile. For patients who suffer from chipped teeth or misalignment, porcelain dental veneers are more than an amazing aesthetic solution. They can protect the teeth from further damage, making them ideal for looks and health. 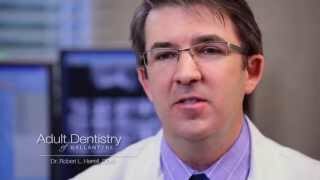 During your initial consultation, Dr. Harrell will review the various options available to you. Lumineers by Cerinate deliver the perfect blend of simplicity and beautiful results. Unlike some options, these do not require any alteration of natural tooth structure or the placement of temporary veneers. The teeth remain perfectly intact under these ultra-thin, bright white veneers. DURAthin Porcelain Veneers are another excellent option which require no buffering of the teeth or removal of enamel. This type of veneer is perfectly suited for patients with smaller teeth or unsightly gaps. Da Vinci Veneers are unsurpassed in their ability to provide a perfect smile that blends seamlessly with natural tooth structure. 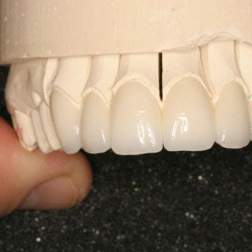 These porcelain dental veneers require some enamel removal, but are incredibly strong and nearly indistinguishable from natural teeth. This popular cosmetic procedure is regularly priced at $1600/tooth for 6 or more teeth. Make your appointment today and take advantage of these special savings.